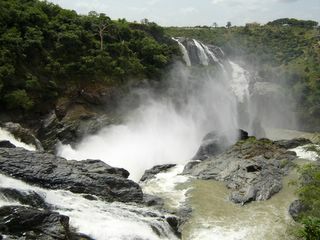 I was talking about our trip to Shivanasamudra falls this past weekend. It was a paradise, there was greenery everywhere and the girls were pretty too ;-) Just the getaway we were looking for at the beginning of a long weekend. A trip is not just about the destination - but also about the journey. So, 4 of us started in early morning at 8-30AM in a fairly new santro. The main topic during most part of the trip was what music to play!! You all know the kind of music I like - but none of the others were keen on playing such music. One wanted FM all the way, 'cos he thinks the female RJs are chicks! PUHHLEEEAASE!! Someone must show him their pics!!!! Another one is an ardent telugu music listener, while the other wants *only* old kannada songs. So much for a mixed bag!! What do we do now? We had to time-slice between these 4 genres of music - Though I must say that I got an unfair share due to the (Ahem) brute force of others!! 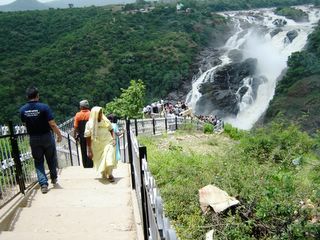 Anyway, once we got there, it was a great sight - the falls is full of water and made for a spectacular sight. I'll stop writing now and let some pictures do the talking - I, of course, cannot describe it better than the pictures themselves. Take my advice - do visit it once sometime soon. Can you see the mini streams of water caused by water droplets splashing against the adjacent rock?? My oh my!! Are these pics pretty? Sure you had fun eh!!! lovely! 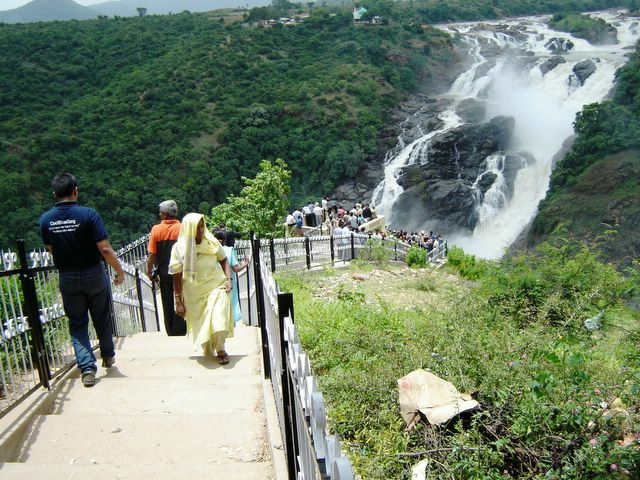 I had seen Shivasamudram 6 long yrs back. Ah!! The place looks nice! how far and how to go? Loonie - 6 years back - hey, why don't you visit it sometime in the near future? You'll love it! Keshav - Its 125KMs from B'lore - you can go either on Kanakapura road or Mysore road. But I suggest you take Kanakapura road. There are boards with distances everywhere. You cannot miss it. We went on Kanakapura road and took Mysore road while coming back. Sanjiv - Yeah, I love to travel! Almost becoming a compulsive traveller. Yeah, its somewhat unusual for geeks n gadget people - but hey its a great way to break away from the monotonous life! It must have been great! The pics say it all! Pratibha - You bet! But I must say that the pics are no match to the real thing itself! Its totally something else to be there in person! 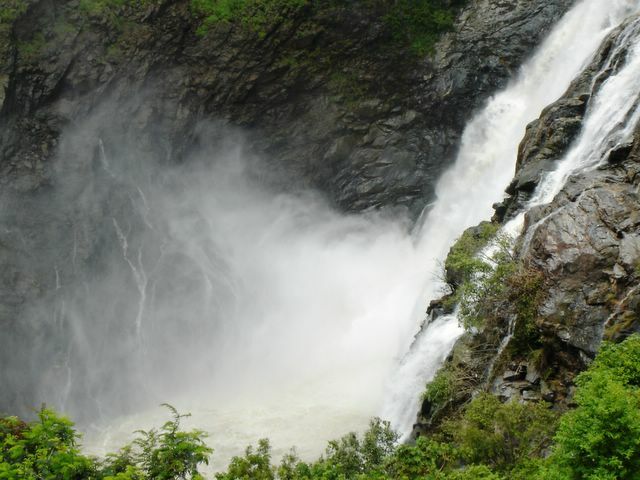 The deafening roar of the falls and the sheer force... ah! just superb!